Lift away dead skin cells and refresh your complexion with emerginC pomegranate toner. It contains natural fruit exfoliators, such as malic and glycolic acid, and fights free-radicals with antioxidants like pomegranate and green tea. The result is vibrant and glowing skin for those who want smoother, clearer skin. Ideal for those with normal to oily, aging or acne-prone skin who want smoother, clearer skin. Apply to clean skin with a cotton pad. Pomegranate fights free-radical damage. Vitamin C brightens and tones. Glycolic Acid resurfaces the skin, removing dead skin cells. I have always been a big fan of EmerginC products. I really wanted to love this toner but I just couldn't. It has a very strong smell and it is irritating. My skin turn red immediately after application and for the record, i have normal skin, not sensitive. I do not recommend this product. 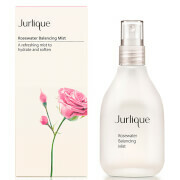 This is a lovely, refreshing toner fortified with acids that gives a nice clean glow. I had to try out the emerginC Pomegranate Toner when I saw it on SkinCareRX, I love Pomegranate. I definitely recommend for anyone who wants a refreshing cleanse and really, who doesn't? !